Bringing Olympic values to life! 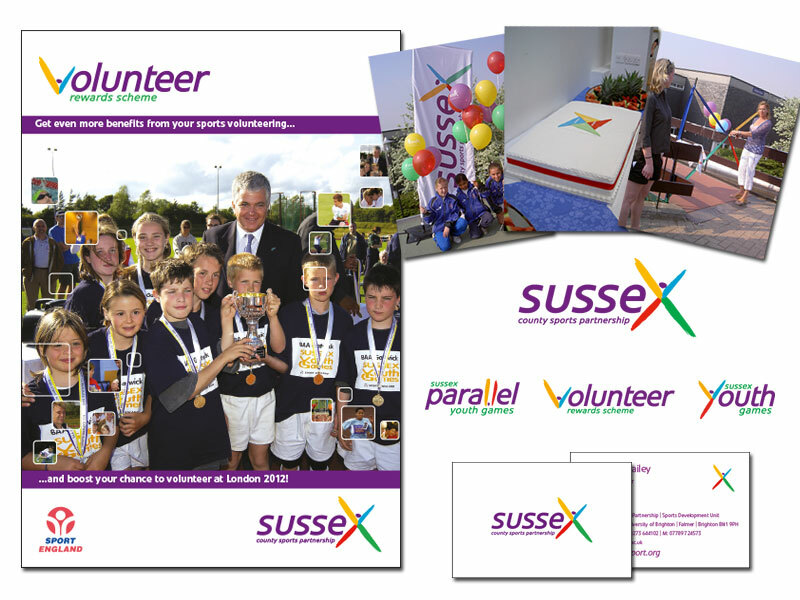 The Sussex County Sports Partnership (SCSP) is one of a UK wide network of organisations that promote, support and develop sport at local level. Following a revision of it’s values and goals, WDAD were asked to create a new visual identity which injected vitality into the brand and promoted the four values of participation, energy, unity and achievement. We worked closely with the SCSP Marketing Manager to get a good feel for the organisation and its values. We also researched the brands of other County Sports Partnerships’ and organisations involved in sport and community development. We then concentrated on the development of the main logo. Once an option was chosen, we developed it across the sub-brands, created corporate communications guidelines and worked with SCSP to produce a wide range of editorial, promotional and marketing materials. It’s not often that an Olympic Gold Medalist unveils WDAD’s work but that’s exactly what happened with the SCSP brand – Sally Gunnell was guest of honour for the identity’s launch event. Feedback was very positive from day one, and the instantly-recognisable identity has featured very prominently in the successful expansion of the SCSP’s work.